Father’s Day is fast approaching, and with it the perennial problem of what to get for Dad. This year, dispense with the cufflinks and neckties—these hackneyed go-tos will earn nothing more than a polite thank you and a layer of dust. Instead, give the old man something he can use: Father’s Day booze that will expand his palate and help usher him into the modern man’s world of drinking. 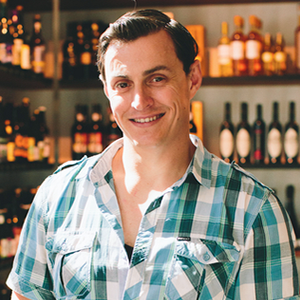 At The Urban Grape, beer and spirits manager David Pavlus offers several pointers on how to outshine your siblings come June 19th by helping Dad update a stuffy liquor cabinet. Pavlus’ first suggestion: a medley of Scotch from Compass Box Whisky Co. An intro sampler set comes dressed as a cigar box, with five transparent cigar tubes filled with Scotch whisky, each a different style from the London-based blenders. “You’d start at the top,” with the lighter Asyla, Pavlus explains, “and work your way down to the bottom (to Hedonism)—they get heavier as you go,” with tastes including Oak Cross, Spice Tree and The Peat Monster. Compass Box also offers a magnum-sized Peat Monster, a limited edition cask-strength bottling that features whiskies from the Islay, Mull and Speyside regions of Scotland. Because it’s not diluted during the bottling process, the whisky has a monster bite and an ABV to match. Part of its appeal comes from the size, but it’s also unique in that just 2,000 bottles were made. Sticking to spirits but moving across the pond, Pavlus recommends another of his favorites: Connecticut’s Litchfield Distilling Company, which produces bourbons that, like Dad, only get better with age. “They source from Kentucky,” Pavlus says, “but then they empty the whiskey into new oak barrels. It sits there for an additional two and a half years and softens.” The result? A more elegant drink, with flavors of vanilla and an obvious smoothness. “It’s almost too easy to drink,” Pavlus warns. For your hop-head, Urban Grape also offers an array of craft beer. The shelves are split up by the ‘type’ of beer: malt-y, hop-heavy, and yeast-forward. Rather than organize by producer, Urban Grape classifies beverages by weight. So, for instance, “In the yeast section, you’ve got the super light table beers at the top, all the way down to the big funky sour beers at the bottom.” For the man who has everything (at least when it comes to the liquor cabinet), Pavlus suggests a couple eye-catching large format ciders to induct Dad to the league of men who drink pink. Citizen Cider’s bROSé gets its color from blueberries, while Champlain uses cranberries for tartness and hue. If you still don’t trust yourself to pick something out, Pavlus is happy to lend a hand in the spirits section or mix a six pack for Pop. “I do it all the time,” he says. “People will come in and tell me what they like, what they don’t like, and I’ll put together something for them.” With a little guidance, you’ll find something well-suited to add to your old man’s cellar—and with any luck, he’ll share.